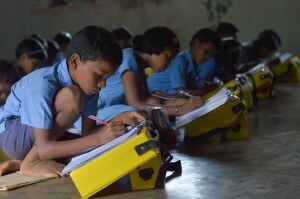 Gram Vikas USA proudly launched a crowd-funded campaign to raise funds to provide 162 school children in Orissa, India with school bags that can be turned into a desk during the day and provide efficient light at night through the use of a solar kit. 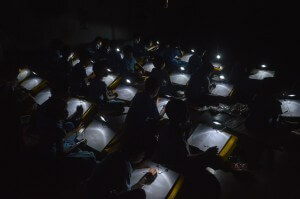 Orissa is the second poorest state in India, is not connected to the power grid, and due to lack of government funds and other factors, education and literacy rates lag behind the rest of the states. The drive began on November 25, 2014 and ended on January 15, 2015. Our goal was to provide Gatida School in Orissa with enough bags to distribute one to every child. 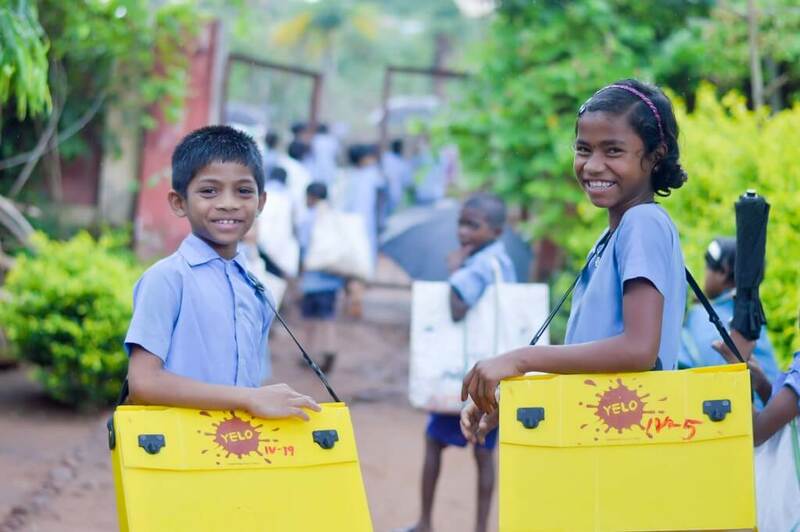 Determined to make a change, Gram Vikas USA provided 162 first generation school goers with YELO bags. These bags can be used at school and home to ensure healthy posture, improve concentration, and provide light after sunset. If you would like to learn more about the YELO bag, please visit Prayas Innovation.